Governor Terry Branstad prepares to pardon two turkeys. 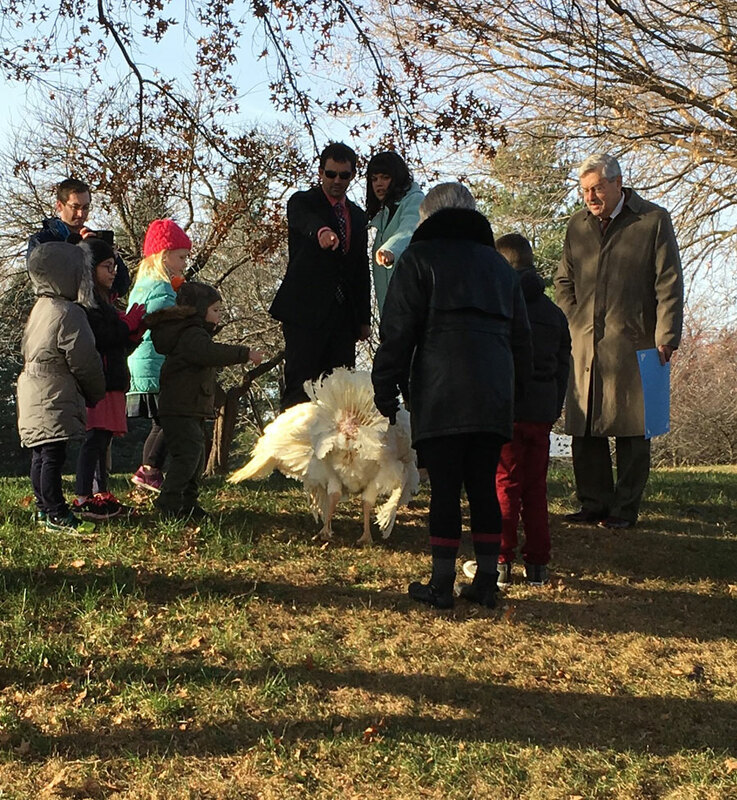 Governor Terry Branstad pardoned a pair of turkeys this morning. Branstad stood on a hill outside of the governor’s mansion in Des Moines, surrounded by a crowd that included his wife and four of his grandchildren, as he read the proclamation. 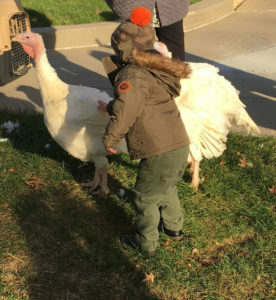 The turkeys were named for Anthony Rizzo and Kris Bryant, two players on this year’s World Champion Chicago Cubs. The two birds will make Living History Farms their new home. Governor Branstad’s grandson Everett pets Rizzo and Bryant. The head of the Iowa Turkey Federation and his family attended today’s event at the governor’s mansion. During the ceremony, Branstad expressed thanks for the recovery year for turkey producers. “Last year we had a challenging year and this year we have a challenging year, I think, because of the price, but at least we have not had the issue of the bird flu,” Branstad said. The Iowa Farm Bureau estimates the bird flu was a $1.2 billion economic hit to Iowa. One-and-a-half million turkeys and 30 million hens were killed during last year’s outbreak.